Most anyone who works has one; especially if you’re upper management. If you don’t have them you want them! Outside of receiving your first paycheck, it’s the second best day ever in your career…the day you finally receive your first set of business cards! Business Cards are seen as one of the number one marketing tools for your business. They tell your prospective clients everything they need to know about you and your business in a tiny little rectangle! As a graphic designer, I’ve spent countless hours creating them for my clients, but I’ve always wondered where the custom of business cards started. What are business cards anyways? Business cards usually have basic information about the person giving the card and the business they represent. Usually, Business name, business logo and website. Also, the cardholder’s name and contact information. Sometimes, other information, such as license numbers, are also included depending on industry. A lot of people use business cards as a memory aid, which is another good reason for having a unique card. Where did business cards start? 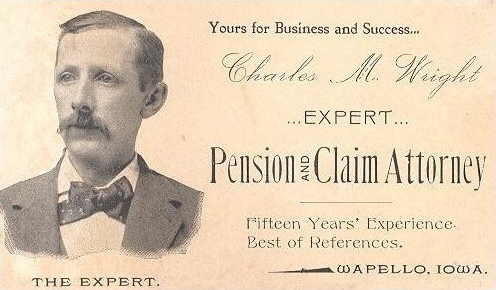 “Trade Cards” were used to advertise a business, give directions, or used as invoices. “Visiting Cards” were most commonly used to announce the arrival of someone from an elite or ruling class (The “1%” of the 1600s) as they visited one another’s homes. They were the about the size and shape of a playing card. What did these Old School Business Cards Look Like? Traditionally cards had white backgrounds with black text. They later became used as displays of wealth and had intricate drawings, expensive engraving or goldsilver leaf on them. How were these Cards Used??? By the early 1800s, they were held by nearly every adult member of the upper social classes. Many houses even featured beautifully decorated trays for receiving and presenting the visiting cards to the owner of the home. A lot of rules and etiquette revolved around the presentation and use of these visiting cards. For example, a card with a folded corner meant the visit was for a certain person in the home and the cardholder presented it—not their servant. When do we finally get ‘Modern’ Business Cards? Visiting cards were meant for formal visits, but around the 1830’s or 1840’s this shifted. Visiting Cards merged with Trade Cards. (Depending on what country you were in, the name changed as well. Some countries continued calling them trade cards, while others opted for cabinet cards or other names). An Example of a Business Card from 1895! !